As the Head of DVSA’s Fraud and Integrity team – and as a parent - illegal driving instructors are a real concern to me. These people pose a danger to the pupils they teach and to road safety as a whole. They haven’t proven their ability to teach and haven’t had the necessary criminal record checks. They also threaten the livelihoods of genuine instructors. There are a small number of cases reported to us which can’t be investigated, as we don't have enough information to identify the individual. So it's important that you give us as much information as possible when reporting a case to give us the best chance of a successful investigation. If we don't take action it could be because it has been difficult to prove that money has changed hands. Proving instruction has taken place can be easy, but proving that payment has been taken can be harder. There are many ways that illegal instructors can be paid that are undetectable to our investigators. The DVSA investigator can find out whether the instructor is illegal by doing a few simple checks. There may be times when you yourself get stopped which may be inconvenient. But I'd ask you for your patience and understanding. These checks help us to get illegal instructors off the road. I wholeheartedly agree as an ADI. However the statement "They haven’t proven their ability to teach" is misleading as long as non-qualified persons are allowed to accompany and teach learner drivers (parents & friends). They pose as much danger as illegal driving instructors -no difference whatsoever in their ability to teach. As an ex Driving examiner I am sure I am more than qualified to teach than some ADI Instructors I was one of the very first to get my ADI certificate obviosly it was taken from me when I took up examining but when I was forced to retire due to my age (io years ago) I was told I woul have to re take all the tests again WHICH i just could not afford the fees for the exams ,over the last five years Ihave taught five of my grand children who all passed first time I hold HGV class one C+E and PCV LICENCE no points no convictions in over 60years shoul DSA return my ADI STATUS ? Indeed. I can see why driving ADIs want to run a closed shop, but this isn't about quality of instruction or qualifications - of which none is required beyond holding a license for a few years - it's purely about money changing hands. Contrast with motorcycle instruction which can only be done by ticketed ADIs, with the learner also committing an offence if it turns out that the 'instructor' isn't on the books, or even if they just don't have their certificate on their person. Absolutely... as I have reiterated in my addition to the blog... our job is not "easy money" we earn it!! I have no connection with driving tuition, [I passed my test 60 years ago], and merely read this report from mild interest, but it seems to me that the whole thing revolves around protection of the livelihoods of 'ADI's and the interests of the burea[c]rats who used public funds to achieve just 36 police cautions! I wonder what was the cost and how many hours of police time....per caution? As noted in a previous comment, [by an ADI!] it is perfectly legal [in fact demanded by law] for a person holding a full licence to accompany a learner driver. I wonder just how many learners have passed the driving test without licenced tuition over the years, and as it is deemed 'dangerous', how many have passed the test after just a few hours of licenced tuition, with no extra practice?. There are references to 'dangers' involved.......surely the Driving Test Examiners are more than qualified to decide whether an examinee is competent to drive unaccompanied? As this comment is posted to a Government blog I believe it will not find it's way into the public domain, after all, it will be under control of the aforesaid bureau[c]rats, but at least THEY will know that at least one poster will have the ability to read between the lines!. Nail on the head I think! Well said. I also agree, if unqualified teaching is dangerous then unpaid unqualified teaching is also dangerous. It really doesn't make sense, and other laws cover if the cars are in bad shape and if students get taught the wrong thing they will fail their test. I do agree with licencing though and this is sublty different, all professions should be licenced as a quality control to allow complaints and monitoring rather than bodge and dissappear. There are other inconsistencies, eg gas safe, I think you can take your own risk apparently as long as its your own equipment/house, so this princple is similar to allowing unpaid 'potentially dangerous work'. I would like to help my daughter pass her car test - by sitting next to her while she practices. Oh, and if she makes a mistake I would offer adice. As a driver with some 40 years experience I have some knowledge of road craft. Is this now illegal for me to do this? Or is it still permitted as long as no money changes hands. Should I expect hassle from our local police force as I do not have a ADI ticket - just a full lisence. David, the law requires that if you provide driving instruction for money or monies worth you must be registered as an Approved Driving Instructor with DVSA. However others can provide driving instruction if they do not take any payment or payment in kind, but the supervisor must be over 21 years of age and have held a full Great Britain (GB), Northern Ireland or European Community/European Economic Area (EC/EEA) driving licence (for the type of vehicle you are using) for a minimum of three years. Therefore parents can still assist their children while they learn to drive as long as they meet the above requirements. What about Lorry and bus instructors? They don't even need a qualification to teach. What's worse unqualified teaching in a car or unqualified teaching truck and bus? You have all your priorities wrong here!!! Right/Wrong, the law states that any person meeting the correct criteria and legal requirements to accompany a learner driver can do so. Over the years I have found that pupils who have the benefit of being able to gain more driving hours through extra experience with mum or dad, seem to make more progress than those who don't. So rather than dissing each argument, what about encouraging and structuring a combination of both, with the ADI taking the lead and advising the parents as to the methods of tuition. Yes we need to clamp down on illegal driving instruction, but not on assisted instruction as stated above. I think driving instructors should have different licence plates so would stop all this, issued by dvsa. Would prove without a doubt the teacher is not a fraudster. Thank you for your comment Trevor. 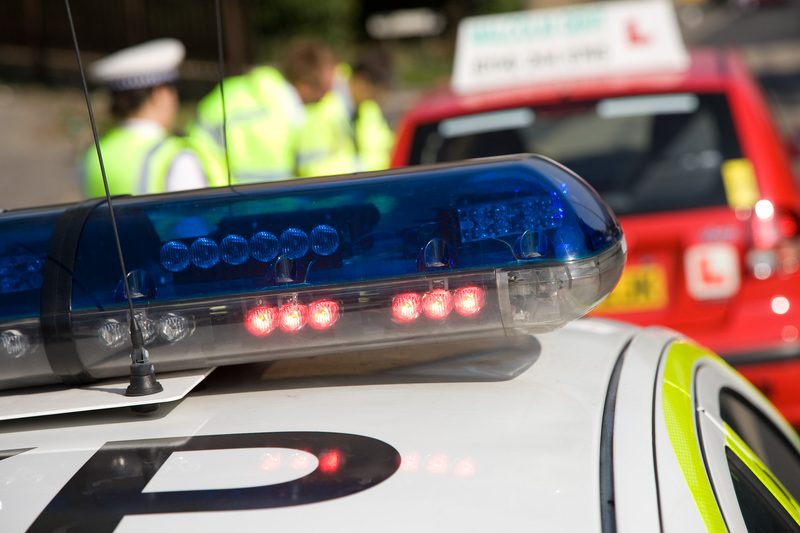 Should you wish to report any illegal activity connected to the driving test or learning to drive we do want to hear from you. You can contact DVSA’s Fraud & Integrity Team on 0191 201 8120 or by email to FraudAndIntegrity@dsa.gsi.gov.uk. All reports will be investigated. Licensing is simply a method of government control and a great source of indirect taxation. It's time DVLA where taken to court over several of their imposed laws, rules and guidelines. who followed the way the DVLA books taught them to couple tractor units to artic trailers. DVLA are still preaching and teaching the same method to today's new trainees. I would not employ a driver who uses the DVLA method of coupling tractor units to trailers. My thanks to the thoughtful Sean, Tony, and Rob for their agreement with my comments, [I expected some bleating about dangers etc. from the oviform individuals amongst us] but I ALSO offer my compliments to the reviewers who allowed publication of same. Cheers. As a matter of interest, I passed my motorcycle test without any tuition in the early 1950s when you were sent off on a preset route, and observed covertly from various points by the examiner, who would at one point would test emergency braking by leaping out from cover shouting "STOP". I believe there were one or two injuries! When filling out my pink 'pass' form, my examiner asked for the make of 'bike I was using, [a 1936 Sunbeam] and commented...."sounds like a bag of nails" Great days! Driving for 55 years. HGV's for 40+ years. Drive 20,000+ miles per year now. It's good about the phone number to report iffy instructors, because there are a few about. Driving is dangerous. We all need to be trained properly. A ton of metal coming towards you at any speed can kill you. Laws and systems are not there just to be obeyed, they are for everyone's safety. All qualified instructors have to have an enhanced CRB check now a DSB, unqualified, illegal instructors don't neirher do driving examiners. So as a mum of a 17 year old, besides being a driving instructor, I would not want my child in a car on a 1 to 1 basis with a complete stranger who has not been vetted, picking a licence instructor is a sure fire way of knowing this has been done. As for not being able to afford the test fees to become an instructor, including your final fee for your licence! These amount to the grand total of £605.00. That is if you have the skills to pass all 3 parts first time. Each part one test is £83 (reducing to £81 in October) part 2 & 3 are £111 each. The other £300 is for your licence to teach. Any business has start up costs, some much more than this. In addition to the ADI badge, the DVSA could introduce a taxi licence style plate for ADI/ PDI. Road side checks can be minimal and also the legal ADI/PDI would not be inconvinienced which may also put doubts in the paying learners mind. Or L plates used by ADI/PDI should be different to those not on the register so easier catch. I live on a route used by many vehicles with learner drivers. Why they have to drive through a crowded council estate full of children who are totally out of any control is beyond me, one child hit, fortunately not seriously hurt. The standard of driving is awful - road position, situational awareness, driving on parking lights, inappropriate speed, the list is endless. Some of the cars have ADI advertised, my old Instructors would have thrown me out of the vehicle for less! "As the Head of DVSA’s Fraud and Integrity team – and as a parent - illegal driving instructors are a real concern to me. These people pose a danger to the pupils they teach and to road safety as a whole. They haven’t proven their ability to teach and haven’t had the necessary criminal record checks. They also threaten the livelihoods of genuine instructors." So, just like parents then? The only difference between an illegal instructor and a parent is that money changes hands in one case and not in the other. Yes, parents can teach their kids to drive and may teach them very well, but so may an illegal instructor. Dear DVSA, you cannot have it both ways. You cannot prevent illegal instructors and allow parents - it's a nonsense. Make professional instruction compulsory and supplement it with private practice. You retain the quality that the profession offers but don't prevent parents (and grandparents) from doing their bit to ensure safer roads. Actually, I'd be very surprised if the all parents really did teach their kids for nothing. There's fuel and insurance costs, for one thing, and I'd wager that many parents insist that their kids chip in somehow. After all, the reason they do it is often to avoid paying for lessons - which they can't/won't afford. A bigger problem among those is whether they're actually insured at all. Over the years I've had loads of pupils with whom it's become clear that mum or dad thinks that driving around an industrial estate at night, or the supermarket car park on weekends, means they don't need insurance. As I say, they often do all this to save money, and since junior is likely to send mum's insurance up from £25 a month to well over £100 well, you don't have to do much imagining to see where it is likely to lead. The issue with "illegal instructors" is that they are passing themselves off as instructors. Or in some cases, ingrained attitudes mean neither the teacher nor the pupil gives a damn about any law to begin with. ADIs are supposed to be professionals. They have to gain a professional qualification. And their profession is covered by strict laws (the subject that the Fraud & Integrity Team deals with). For that reason alone, you CAN aim to prevent illegal instructors who pass themselves off as licensed and leave mum and dad to get on with it. And I should add that I mean "get on with it... legally" (i.e. insured). Many driving instructors around the Mitcham test centre area teach people without displaying a valid badge in the window. All you would need to do to catch them is stand by the gate as they come into the car park. A few high profile cautions and the problem would soon be resolved. Having read the concerns raised by both members of the public and qualified ADI I nstructors may I rase a small point. As a ADI and AMI I see regular unlawful instruction being carried out on a daily basis, I have reported each incident without failure. The reaction to these complaints are verified and complex and I am told follow a due process. Ind eye that appears to be the current policy . Change is on the way but nothing has been done to stop the current practice. It would be very hard to know whether someone is a legal ADI or not. Not all ADI's display their badges as they are supposed to. As a former ADI,HGV,PSV and crash investigator when I was an ADI I encouraged pupils to their parents to acompany them in their own car. This most certainly increased their chances of passing 1st time 3 fold. Those here who want to regulate these family members are so wrong. Further more it does appear that ADI's want a closed shop. The cost of lessons are extortionate now.